Note: this is the full version of 9th Dawn II APK with no ads or inapps which is freely downloadable on our site (as a fully functional trial! ), this is not the demo! The first 9th Dawn game was such a success that Valorware released a sequel for RPG hungry Android gamers. Following the previous title, this one is an 8-bit style role playing game that sees you returning to the world of Vayle to reclaim the land of Caspartia. There'll be lots of quests with multiple outcomes, a crafting system, classless progression, new spells and abilities, and a larger and more interactive world than the first game. 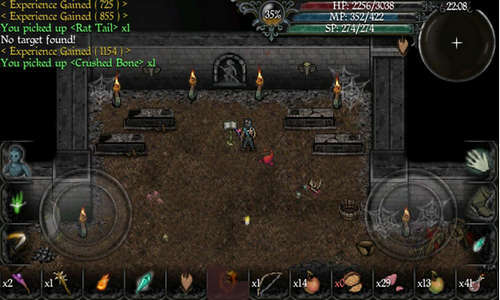 - More: crafty puzzles, powerful spells, spoils, and fluid controls and gui. Install the apk file and play. As always, comment if you face any issues!